Hey there, sweet friends and welcome back! Today I have a special guest for you all and I am so excited! You likely know, or should know, that I am obsessed with my essential oils and believe everyone should have them in their home. When Carrie told me how she felt about using essential oils with her family, and offered to write about it, I was thrilled. I love seeing how other moms use essential oils. There is always so much to learn! So, please help me welcome Carrie Willard to Just A Simple Home! Aromatherapy has become more popular lately among mothers, and for good reason – it works! Aromatherapy dates back to ancient times. Essential oils are even mentioned in the Bible, where oils were highly prized for perfume and therapeutic value. Essential oils can alter mood because of their action on the brain, (source) and they are used to support a variety of ailments common to children (and moms!). One of the more common uses of aromatherapy is to support our emotional well being, especially in the fight against stress, depression and anxiety. Aromatherapy is ideal for anxiety or depression sufferers who don’t want to use prescription drugs. While aromatherapy alone won’t fix what’s wrong with your life, it can provide some relief so you can better deal with whatever’s stressing you. Then you can take appropriate action. It also works well for those who are dealing with a lot of stress or emotionally challenging situations. When I was hospitalized with a high-risk pregnancy two years ago, I brought oils with me. I used them to spray around the room to clean, as EOs have antibacterial and antiviral properties. I also needed the mood lift they provided, as bedrest has a depressive effect. 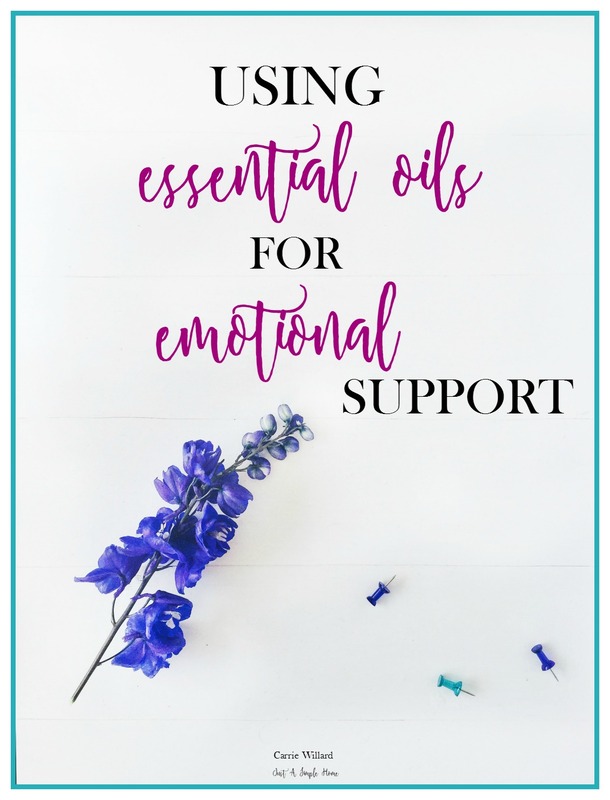 There are several essential oils that have helped me get through my anxiety, stress and depression. I keep blends on my nightstand so that I can use them before bed. Here are some of the most popular choices for mood control. * Lavender – This is one of the most popular oils. Its scent is very pleasant to most people, and it works as a sedative and analgesic (meaning pain reliever – one reason why it shows up in the birthing room so often!). I’ve used it while in labor, for teething babies and on myself for earache. I also use lavender in a diffuser when my kids are hyper, when I’m stressed or I feel it’s going to be a challenging day. * Sandalwood – This oil is well known for its effectiveness against stress. * Patchouli – Patchouli oil is a mood enhancer, and it is also used as an aphrodisiac. * Vanilla – This is another scent that many people love, and it also has a calming effect. Vanilla also has the reputation of making your man feel very happy. Use at your own risk (Or perhaps combine the last two if you’re trying to have another baby!). * Clary sage or rosemary can be used for studying when you need to focus – great for those with attention challenges. If you want your entire family to take advantage of the effects of aromatherapy, a diffuser or aroma lamp will scent your home with your favorite essential oil. These are great to use around bedtime to help everyone unwind. They’re also wonderful if you have a sick person in the house – since essential oils are antibacterial and antifungal, they’re ideal for use in a sick room. Also great if you have a teething baby fighting sleep. * Baths – Who doesn’t love a nice warm bath at the end of the day to reduce tension? Aromatherapy makes it even better. Add five or six drops of your favorite essential oil to the water. * Massages – A massage can help loosen tense muscles and improve brain chemistry to ward off anxiety. Aromatherapy oils can be used to make massage oils to maximize the benefit. Just add ten drops of the essential oil to an ounce of a carrier oil appropriate for your skin type. As long as they are properly diluted before using on the skin, essential oils are very safe. Along with strategies like keeping gratitude journals, exercise, diet and deep breathing techniques, aromatherapy is another excellent strategy for controlling your mood. 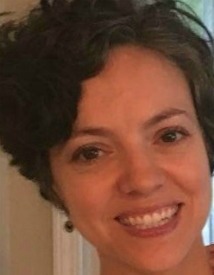 Carrie Willard is a homeschooling mom of 7 who writes at CarrieWillard.com about managing the large family on her blog. She is passionate about moms taking time for what feeds their soul. Her free ecourse will help you find time for your goals and dreams during the busy child-rearing years. When I was younger I used to burn joss sticks in my room. I often wondered why I felt so sleepy until I found out all about aromatherapy. It can be pretty potent! Great post! I’ve recently started looking into essential oils and this is so helpful! I’m so glad Nicole! Let me know if I can help you! Abby, it can lower it, but not always. I would just use caution. Lavendar is such life saver though! I used essential oils during my labor and delivery too and loved it. true – it’s probably fine in a combination oil for instance, just don’t overdo mint oil along with mint gum, mint tea, etc –. I found out this little tidbit when I was pumping for a preemie and reading everything I could get my hands on about increasing supply. This is is very interesting. I have not used essential oils yet but I know a lot of people that do! Very timely read as I have been thinking of getting a diffuser and was wondering which oils would be best for healing and anxiety. Looking forward to getting starting with essential oils and this motivates me even more. Thank you! This post is amazing. Very informative. I definitely need to restock on my vanilla and sandalwood. I looove using my oils and have recently learned how to make lava bead jewelry to use as diffusers for wearing! I love my diffuser necklace!